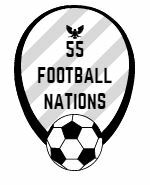 55 Football Nations has completed at least one top division match in each of the 11 disparate football nations that once formed the Soviet Union. The 55FN top 20 lists the best and worst bits from the pitch, the road and the dinner plate. 1 – Most entertaining match – Vitebsk (Belarus) – 2-1 to Vitebsk after 11 minutes. Krumkachy ‘keeper Kostyukevich equalised from his own penalty area and was then sent off for a professional foul. It somehow finished 2-2. 2 – Bore draw – Ufa (Russia) – Ufa played six at the back to counter Spartak Moscow on a hot Sunday afternoon. Effective but not pretty. 5 – Best stadium – Odessa (Ukraine) – central stadium with soul, a nightclub and a motorbike shop. It needs a few more Chonomorets fans. 7 – Noisiest fans – Tula Arsenal (Russia) – “one day we will be as famous as the London Arsenal” sang the Tula fans. They won’t but they will still sing. 9 – Dodgy referee realises big team are struggling at home – Minsk (Belarus) – slight contact in the box. Red card, penalty and still Dinamo nearly messed it up against Dnepr Mogilev. 10 – Best football snack – Vilnius (Lithuania) – beer sticks. Rye bread fried in garlic and sesame seeds. 14 – Craftiest beer scene – Riga (Latvia) – surprisingly rich pickings in many ex-Soviet lands although not Belarus. Riga pips it for combination of price, quality and use of catnip. 16 – Lonely Planet not required – Taraz (Kazakhstan), Ufa (Russia) – horse statue, dusty museum, football stadium. City complete. Interesting. Tallinn is a great place, as is Estonia generally. Surprising that the best food was in Russia, which it definitely wasn’t in 1975! Made we want to travel to Eastern Europe and Southern Russia again quick smart! Armenia sounded great. Loved the photos of the trips so far. Thanks Adam – really recommend travelling in the region. Western tourism is very light away from the Baltics, but there is much to see apart from the football. U didn’t talk about be Kazakhstan. I think that is also very beautiful with majestic , old buildings. Every country gets a mention – they all have their own charm.